Phytomer Homme Perfect Shave Cream is a 2-in-1 shaving product and oxygenating treatment that gives you a perfectly smooth shave every day while reducing irritations. 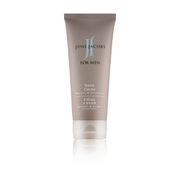 Phytomer Homme Perfect Shave Cream can be used once or twice a week as a moisturizing, detoxifying mask, especially after shaving to reduce razor burn and irritation. 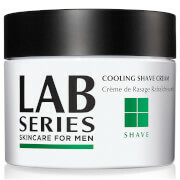 Every day, dampen skin and apply a thin layer of mask over area to be shaved. Once or twice a week, dampen the skin and apply a thin layer of the mask over the entire face and neck. Allow to sit for a few moments. Shave as usual, then rinse off excess using hot water.